“cave frog” who usually hangs out under water or in the shade of a rock chose to come out for some sun this morning. I love the reflection in the water. 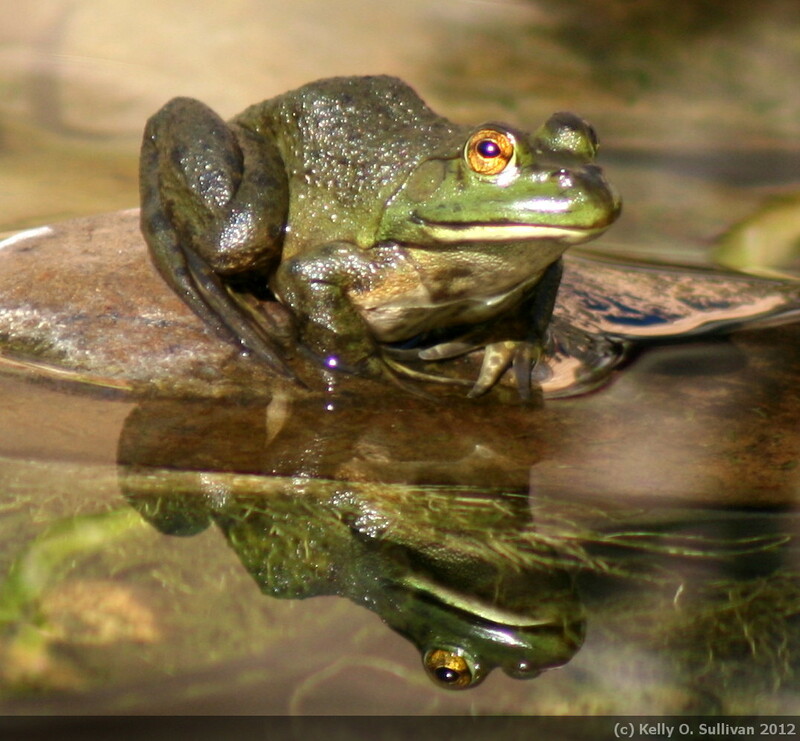 He is about 2 inches long, if that, and is a juvenile bullfrog.